a. The American ideal that equal educational opportunities shall be available to all sections of our state and to all of its people. b. The continuous improvement in educational procedures, techniques, administration, supervision, and public relations. c. A spirit of professional growth, congenial friendship, and loyalty among members. d. Attention to the professional welfare of members, stimulating interest of members in the profession, and the advancement of administrators in the field of education. e. Contact and working relationship with other professional organizations interested in education. The name of this association shall be the Montana Educational Technologists Association and is hereafter within referred to as the "Association". The Montana Education Technologists Association is an individual membership organization open to K-12 education institutions (public and private) recognized by the Montana State Board of Public Education. Members of other education agencies and other interested parties in the state of Montana may join as affiliate members. 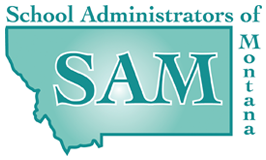 The primary audience is district employees and consultants responsible for technology operations within Montana K-12 education institutions. Members shall not use their META membership to promote financial gain. Membership shall be approved by and may be revoked at any time by a majority vote of the board. Individuals who are employed or contracted by public or private K-12 schools/districts and participate in technology leadership as part of their duties are eligible for active membership. Section 2: Senior Membership Active Members who retire are eligible for Senior Membership status. These members shall have all rights and privileges of active membership except to vote and hold office. The Executive Committee (President, President-Elect, and Past-President) shall have the right to confer honorary memberships. These members shall have all rights and privileges of active membership except to vote and hold office. Section 4: Student Membership Any student sponsored by a member shall be eligible for student membership. Student members are entitled to all privileges of META except to vote and hold office. Affiliate membership is available to individuals engaged in educational technology management who do not qualify as or elect to be an active, senior, or student member. Affiliate members may not compose the majority of any committee of the organization, except any committees created to address issues specific to affiliate members. Section 1. The annual dues of the Association shall be set by the board annually prior to May 1st. Dues will be collected and processed by the SAM office. The Memberships shall run from July 1 through June 30. Section 2. The Executive Committee (President, President-Elect, Past-President) shall present a budget to the Membership at the annual conference. The budget must be approved by a majority of the members present. The elected officers of this organization (collectively known as the Board of Directors) shall be a President, President-Elect, Past-President, and the nine (9) directors chosen from each area exclusive of the President, President-Elect and the Past-President, defined as the executive committee. The President shall preside at the opening of the annual meeting and such other sections as he/she elects. He/she shall preside at the meetings of the Board of Directors. He/she shall have authority to call special meetings of the Board of Directors, or of the entire membership with the consent of the Board of Directors. He/she shall, with the consultation of the Board of Directors, prepare programs for the annual meeting of the Association. He/she shall perform any of the duties which customarily accrue to the office. He/she shall represent META on the SAM Board of Directors. In the absence of the President, the President-elect shall perform the usual duties of the office. The Past-President shall be responsible for a complete and accurate record of all meetings of the Association and Board of Directors. d. Executive Committee The Executive Committee Members are Active Members in the roles of President, President-Elect, and Past-President. The Executive Committee shall have the power to act on official META business that needs immediate attention and falls between regularly scheduled META Board of Directors meetings. If the membership of META allows more representation on the SAM Board of Directors, the 2nd representative will be the President-Elect, and 3rd representative will be the Past-President. 1. The elected officers shall serve the Association for six years. (Serving a two-year term in each position: President-elect, President, Past-President). 2. The President-elect shall assume the office of President at the end of the President’s second year of service, at the Annual meeting. 3. The President, at the end of the official term, shall serve as an advisor to the President as Past-President. 1. The Regional Director shall be elected to serve a term of one year in a method determined by the members of the region. 2. Regional Directors can serve consecutive terms. a. The Board of Directors shall be the President of the Association, President-Elect, Past- President, and nine (9) regional directors. The recognized regions are: Four Rivers, South Central, South Eastern, North Eastern, Hi Line, North Central, Central, Western, and North West. b. A majority of the board must be comprised of Active Members. 1. The Board of Directors shall determine the exact date and place of the annual meeting. 2. The Board of Directors shall conduct necessary business between annual meetings of the membership. 3. The Board of Directors shall define and appoint all committees. 4. The Board of Directors shall attend to the promotion of the best interest of the Association. 5. The Board of Directors shall approve the annual budget and expenditures from the budget and present it to the membership for a vote at the spring meeting. 1. Any Board Member may resign at any time by giving written notice to the President of the Board of Directors. Such resignation may be of his/her role as a Board Member or as a Member of any other body as may be pertinent at the time. The resignation shall take effect at the time specified in the written notice; and unless otherwise specified therein, acceptance of the resignation shall not be necessary to make it effective. a) Any of the nine (9) Regional Director vacancies shall be filled in a method determined by the members of the region. b) Office of the President vacancy will be filled by the President-Elect for the remainder of that term. c) Office of the Past-President vacancy will be appointed by the President for the remainder of that term. d) Office of the President-Elect vacancy will be appointed by the President for the remainder of that term. 3. The Board of Directors may remove an officer upon two-thirds (2/3) vote of the Board of Directors. b. A nominating committee shall be appointed by the Board of Directors at least thirty (30) days before the annual meeting and instructed in their duties at the time of appointment. 1. The nominating committee shall present, through the chairman, the nominees for the office of President-Elect. 2. At the time of this nominating committee report, the presiding officer shall call for additional nominations from the floor, and any such nominations shall be placed on the ballot. 3. Immediately upon adjournment of the annual meeting, a ballot prepared by the SAM office shall be distributed to all active members, digitally. Members shall return their digital ballot within two weeks (14 days). All counting of the ballots shall be reconciled by the SAM office and the one receiving a majority of votes cast shall be named President-Elect. If there is no such majority, the Past-President will prepare a second ballot with the names of the two receiving the most votes and repeat the digital balloting. The one receiving the highest vote count shall be named President-Elect. c. The President-Elect shall automatically succeed the office of President. All proposed amendments to this Constitution shall be submitted in writing to the Board of Directors. The Board of Directors shall report the action taken on such proposed amendments to the membership at the next regular meeting of the membership. Such report shall specify that the Board of Directors recommends, does not recommend, or reports without prejudice such amendments. A two-thirds (2/3) vote of the Active and Affiliate Members present at a properly scheduled meeting with a quorum present shall be required for adoption of any amendment. This Constitution shall take effect January 1, 2013. The Board of Directors or designee may conduct special studies and referendum ballots by mail or electronic mechanism. The Board of Directors or any members shall take no stand in the name of the organization for or against any candidate for public office unless specifically authorized and duly approved in a regularly called meeting. All candidates may be given identical questions and their answers publicized without comment. In event of dissolution of this organization, all monies in the treasury wherever deposited or located, shall, after payment of all outstanding indebtedness, be distributed to the paid active membership of record for the immediately preceding year. A quorum of the Board of Directors is defined as half plus one of the established board. For meetings of the membership, a quorum shall be defined as those Members entitled to vote and in attendance.